Rabat - Behind Saad Eddine Othmani's broad smile lies nearly 40 years of political activism, diplomacy, and academic study, revealing the complex character of the new Head of Government. 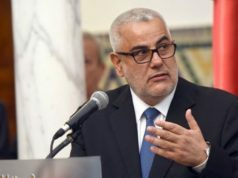 Rabat – Behind Saad Eddine Othmani’s broad smile lies nearly 40 years of political activism, diplomacy, and academic study, revealing the complex character of the new Head of Government. Bearded, wearing glasses, and always captured smiling by photojournalists, Othmani has been a remarkable figure in the Moroccan political scene ever since he was named as the Secretary General of the Justice and Development Party (PJD) in 2004. 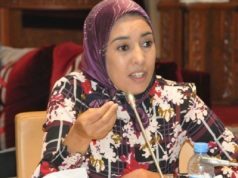 Appointed Head of Government by King Mohammed VI last Wednesday, Othmani is now under the spotlight. 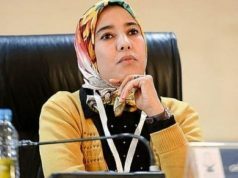 The psychiatrist carries a heavy burden on his shoulder – to successfully form the government and keep the PJD on top of Morocco’s other political parties. 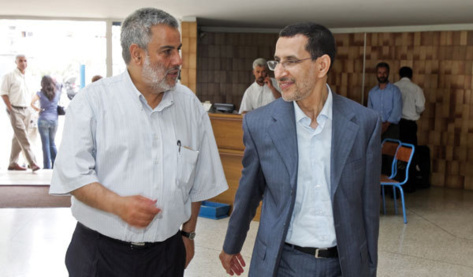 However, while he is mostly known for his recent history as a PJD member and Minister of Foreign Affairs, Othmani, described by PJD members as “wise and sagacious,” brings with him decades of experience, as a founding member of the PJD and its predecessors, as an expert in Islamic studies, and as a practicing doctor. 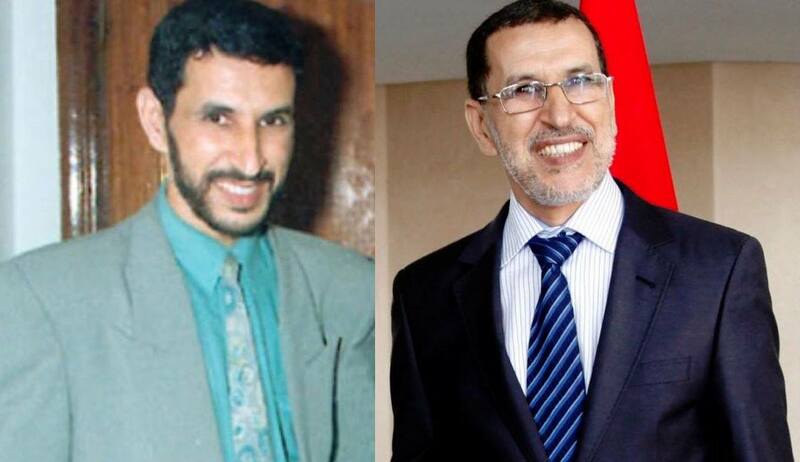 Morocco World News provides the life history of the Kingdom’s new Head of Government. 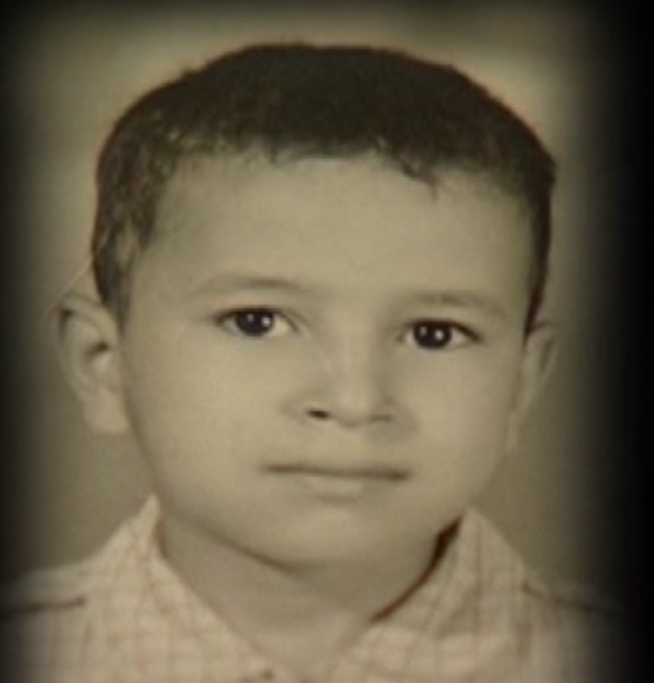 Born on January 16, 1956, in Inezgan, Othmani grew up in a conservative Amazigh family, which Mohammed Mokhtar Soussi described as “one of the two families in which [the study of] science had been maintained for over a thousand years.” Known as a bookworm from a young age, as a child Othmani showed an interest in politics and began working with Dawah O Tabligh, a group of Sunni Muslim evangelists and preachers. His father opposed his political bent, warning him against entering politics. 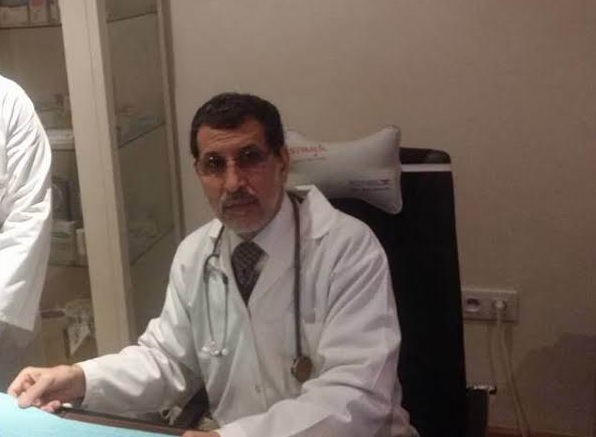 After receiving his baccalaureate in math in 1976, the Inzegan native moved to Casablanca to pursue a PhD at the city’s Faculty of Medicine and Pharmacy, which he received in 1987, choosing to write his thesis in Arabic rather than the usual French. He also studied Islamic Studies at the Faculty of Sharia Law in Ait Melloul, receiving his bachelor’s degree in 1983 and his master’s degree in 1987. While a student, he started associating with the Chabiba Islamiya (“The Islamic Youth,”) an underground Islamist movement established in the late 1960s by Abdelkrim Moutii. One of many such Islamist groups that emerged from universities in this period, including the Muslim Brotherhood in Egypt, the Chabiba Islamiya’s overriding concern was to combat the spread of Marxism. 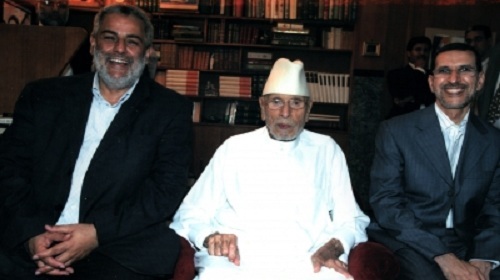 In the Chabiba, Othmani met Abdelilah Benkirane and late Abdallah Baha, with whom he remained friends until Baha’s death in 2013. 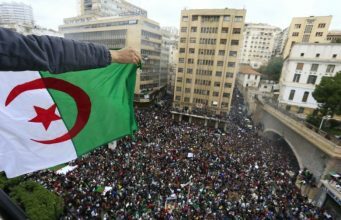 The Islamist movement’s emergence coincided a dark period in Moroccan political history, the “Years of Lead,” marked by the state’s use of repressive measures against dissidents and other political threats. During this period, no one could castigate the state or openly discuss politics, and oppositional groups like the Chabiba were forced to remain underground. 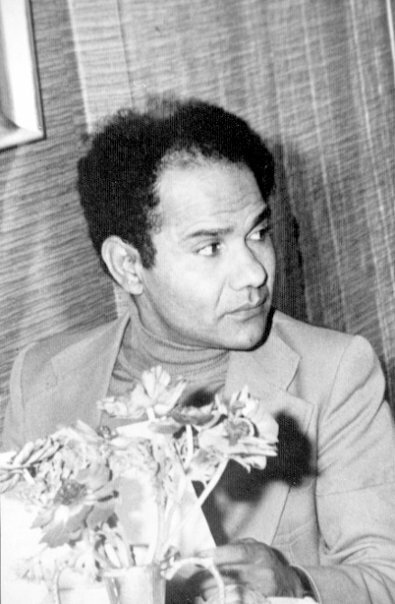 In 1975, Omar Benjeloun, a prominent leftist activist, journalist, and Socialist Union of Popular Forces (USFP) member, was assassinated. The Chabiba were widely suspected as having organized the murder, leading to the disruption of the group and the disappearance of its leader Moutii. 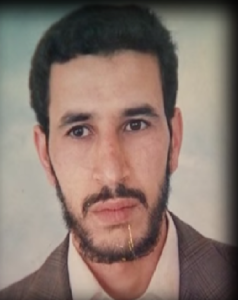 Othmani was detained in December 1981 at a march in Casablanca’s Hay Mohammadi Mosque in support of Moutii, who had been sentenced in absentia as an accomplice in Benjeloun’s murder. The demonstrators gathered at the mosque next to the court and were arrested once they passed through the palace. With their organization effectively dissolved, members of the Chabiba, led by Abdelilah Benkirane, re-formed as the Jamaa Islamiya in 1981. 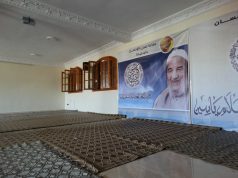 According to Talidi, Othmani was one of the leading supporters of Benkirane’s initiative. 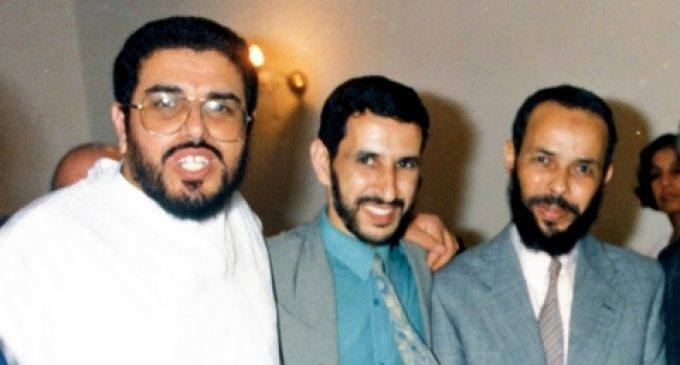 Along with Mohammed Yatim, who became the new group’s president, Othmani oversaw the charter of this new iteration of the Moroccan Islamic movement. Benkirane then spearheaded the gradual “publicization” of the Jamaa Islamiya into a mainstream political organization, though some members, including Othmani remained opposed, advocating for the creation of two Jamaa Islamiya wings, one public and political, one private and underground. In 1984, members of the Jamma Islamiya were arrested in Meknes following a police investigation. 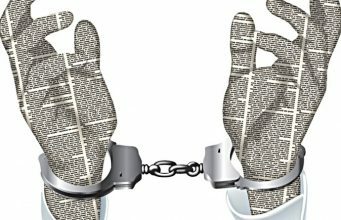 However, the officers who made the arrest did not know who the Jamaa Islamiya were, and became confused when the arrested members identified themselves as part of the Jamaa Islamiya. Benkirane himself came to the police station to arrange the members’ release. While Othmani had been among those members who were detained, he had managed to escape arrest. 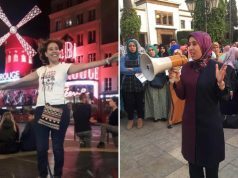 The Moroccan Islamist movement gradually transformed from a fringe underground group whose activities were suppressed by the state to an officially-recognized political party, a shift permitted by the Moroccan state’s opening up to previous opposition movements in the late 1990s with late King Hassan II in his last days. 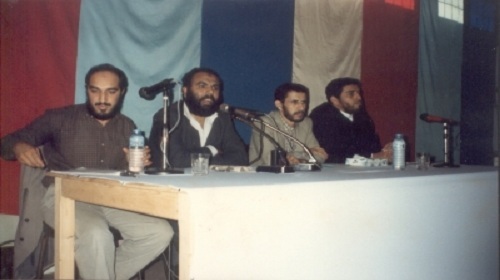 Throughout the Islamist movement’s political legitimization, Othmani became a prominent figure in the party. 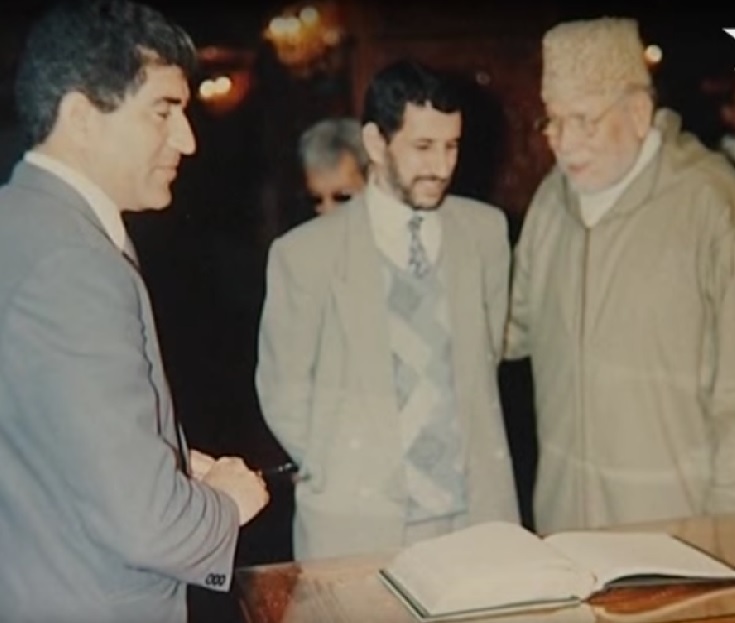 In 1997, the Popular Democratic and Constitutional Movement merged with the Jamaa Islamiya’s brief successor, the Reform and Renewal Movement (formed in 1996), and together became the PJD. Othmani was named the Deputy Secretary General. In his tenure under this position, and later as the Secretary General from 2004 to 2008, Othmani would see the PJD through its biggest challenges. 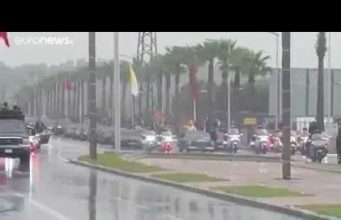 Following the May 16, 2003 terrorist attack in Casablanca, which led to the death of 45 people, the PJD was targeted by the state, who feared it would monopolize the elections due to the spread of Salafism among marginalized youth in Casablanca. 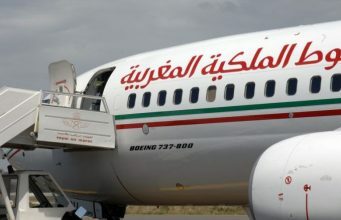 Following the attack, Othmani was summoned by the Minister of Interior Mustapha Sahel and Secretary of State, Fouad Ali El Himma. Afraid that the PJD would achieve a majority in the upcoming parliamentary elections, they lobbied him to present only 20 percent of the PJD constituencies to the legislative elections. Othmani accepted the conditions, effectively taking a bullet for the PJD’s Secretary General, Abdelkrim Khatib. 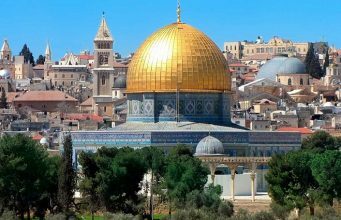 During this period, continued his academic work, publishing several books and papers on both psychology and Islamic studies. 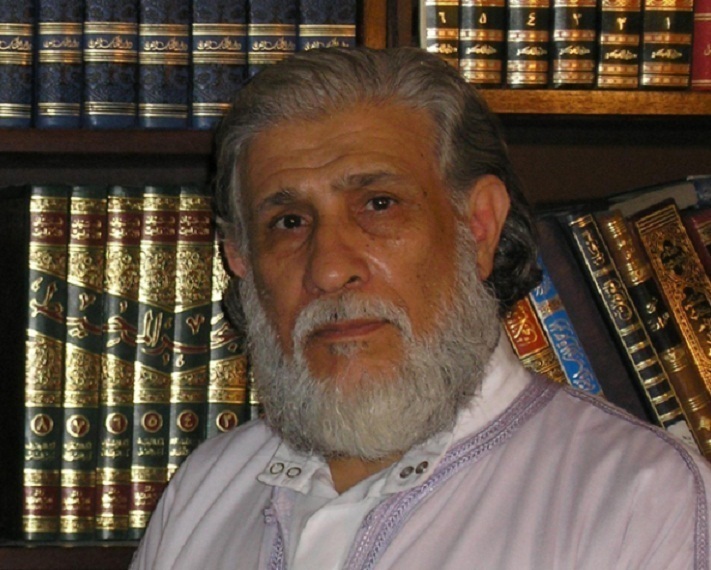 Among his popular books, there are “Jurisprudence of Political Participation of Sheikh al-Islam Ibn Taymiyyah” (1997), “Woman’s Issues and Psychological Tyranny” (1998), and his diplôme superior thesis in Islamic Studies at Mohammed VI’s Faculty of Letters and Human Sciences in 1999, “The Actions of the Prophet Muhammad, Peace Be Upon Him, with Imama Methodological and Legislative Connotations.” He also released “Religion and Politics: Preference, Not Separation” (1999), tackling the political participation of the Moroccan Islamist movement. Since the PJD’s entrance into the public sphere as an official political party, Othmani has seemed reluctant to discuss his activist past, and in Talidi’s history, he recounts only his intellectual and academic paths, giving few details on his experiences in activism. However, Othmani continues to be known as a bookworm. According to a close source from the PJD, he prefers to devote his time to reading books, even going as far to have others drive him on trips so he can focus on reading. 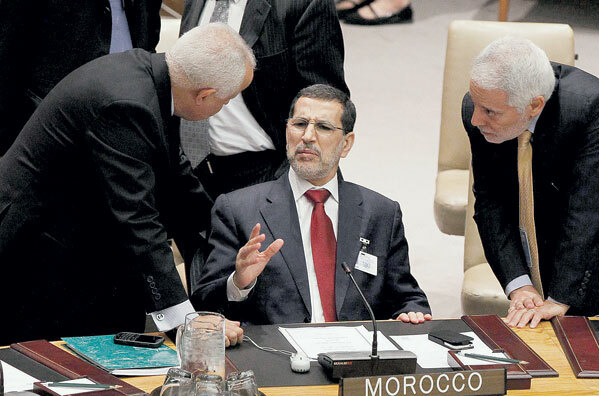 Following the reform of the constitution in 2011 and the early legislative elections 2012 amidst the so-called Arab Spring, the PJD came out at the vanguard of Moroccan politics, taking 107 parliamentary seats out of 395. Having effectively won the elections, the PJD saw several of its members become ministers, including Othmani, who was named the Minister of Foreign Affairs. However, his experience as the Morocco’s top diplomat from January 2012 to October 2013, did not leave a very praiseworthy legacy. A visit to Algeria in his first days as Foreign Minister did not go as planned. 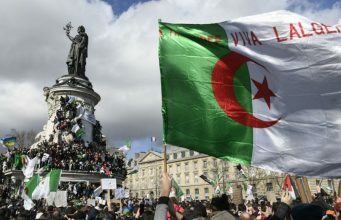 After meeting with his Algerian counterpart, Mourad Medelci, in January 2012, he sounded a very positive tone about a possible normalization of relations between the two countries. 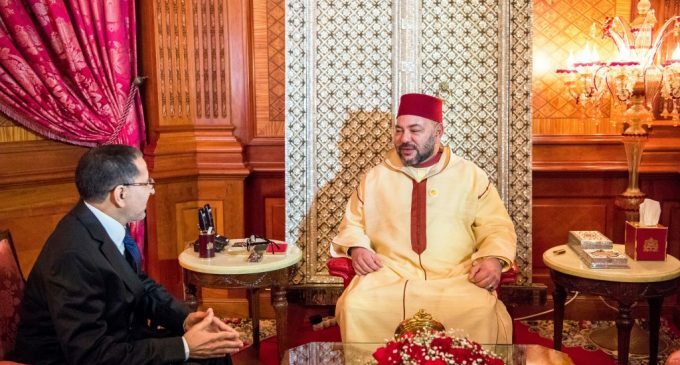 Moreover, many expected that his appointment would give a new momentum to Moroccan diplomacy and help counterbalance Polisario’s influence in Latin America, Scandinavia and Anglophone Africa, but he achieved little in this regard. In the wake of the government reshuffling in 2013, when the Istiqlal Party switched from the government coalition to the opposition and the National Rally of Independents (RNI) vice-versa, Othmani collected his belongings from the Ministry headquarters in Rabat and headed back to his regular office to resume his job as a psychiatrist. As the new Head of Government, he now faces the task of breaking the deadlock that has plagued the government ever since his party swept the 2016’s October legislative elections. 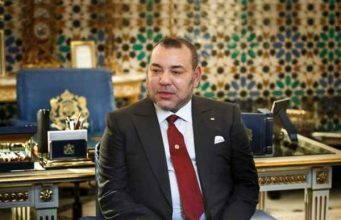 His predecessor, Abdelilah Benkirane, led five months of futile negotiations with party leaders to form a government coalition before being dismissed from his position by King Mohammed VI as upcoming Head of Government on March 15. He has told reporters that his appointment as coalition leader was “unexpected,” and that he had not yet determined his approach to party negotiations. However, with four decades of experience as a politician, activist, doctor, and academic under his belt, it is unlikely he will remain without a plan for long.